Vladimir Putin has dismissed the idea that Russia could attack NATO as “insane”. In an interview with Italy’s Corriere della Sera, President Vladimir Putin says Russia is not a threat to NATO. Six NATO bases are being set up and a 5,000-strong “spearhead” force established. 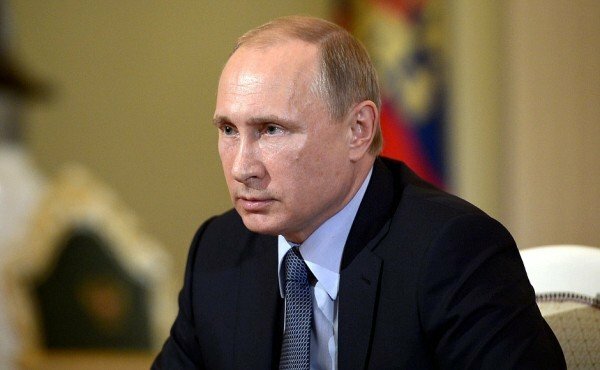 In his interview with the Italian publication, Vladimir Putin said some countries were “simply taking advantage of people’s fears with regard to Russia” in order to receive “some supplementary military, economic, financial or some other aid”. “There is no need to fear Russia,” he said. Ukraine’s President Petro Poroshenko told a news conference on June 5 that Russia had massed troops on the border and in rebel-held areas “in unprecedented numbers” – but Russia again denied that its military was involved in Ukraine. Petro Poroshenko said Ukraine has deployed 50,000 troops in the conflict zone to meet the threat. More than 6,400 people have been killed in eastern Ukraine since the conflict began in April 2014, when rebels seized large parts of two eastern regions, following Russia’s annexation of the Crimea peninsula. The Ukraine crisis is on the agenda of talks of leaders of the most industrialized group of countries – the G7 – beginning on June 7, without Russia – usually its eight member.